After 14-year-old Grant Thompson discovered that a caller could listen in on another FaceTime user while the device was ringing, Apple quickly disabled Group FaceTime until it could resolve the problem (see “Apple Disables Group FaceTime to Block Glaring Privacy Hole,” 29 January 2019). 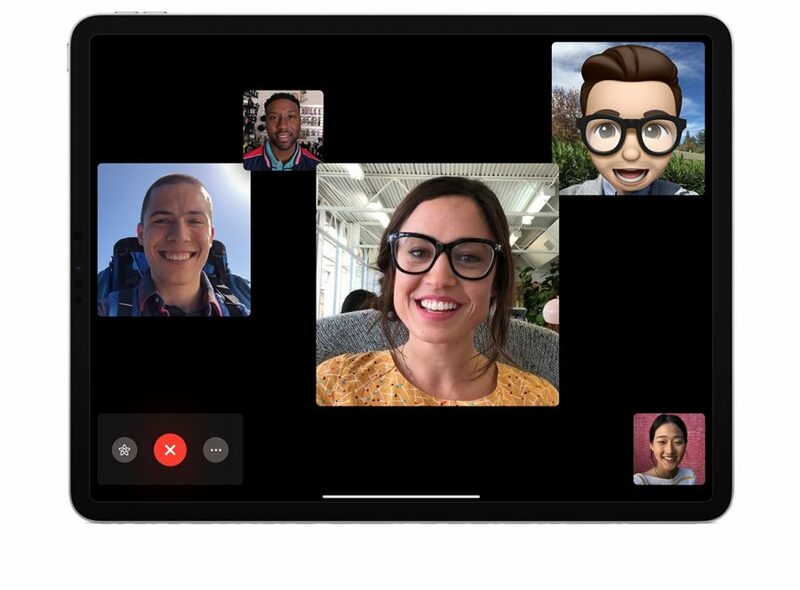 Apple later addressed the bug on the server side (see “Apple Fixes Group FaceTime Bug; Promises to Improve Bug Reporting Process,” 1 February 2019), but said additional software updates would be required to re-enable Group FaceTime. Those updates are now here in the form of iOS 12.1.4 and macOS 10.14.3 Supplemental Update. You can obtain iOS 12.1.4, which weighs in at 89.6 MB on an iPhone X and 65 MB on a 10.5-inch iPad Pro, in Settings > General > Software Update or through iTunes. The macOS 10.14.3 Supplemental Update weighs in at 987.7 MB, and you can install it from System Preferences > Software Update. Unless you’ve been missing Group FaceTime, it would be wise to wait a couple of days to make sure these updates don’t introduce any new issues. Remember since Apple fixed the bug on its servers, this update isn’t necessary to protect yourself from the exploit, merely to re-enable Group FaceTime. Australian iPhone owners beware - I have “No service” on my iPhone after updating to 12.1.4 (the fix for group Facetime). My phone provider is Telstra. I have tried restarting the iPhone and resetting Network Settings. Any other ideas to fix it? Update: Telstra chatline asked me to remove and reinsert the SIM but that made no difference. Then they asked me to reset network settings and finally I have Telstra services back. Thanks for reporting back! I haven’t heard of any other problems like this, but your fix may help others. Oh - one other minor bug with 12:1:4 - full stop and comma have vanished from my iPad’s keyboard! This happened to me with the original iOS 12.0, but the keyboard always reappeared after restarting the iPad. (And actually pressing the keys where the period and comma should have been always worked.) I had the slide to capitalize / flick / whatever they call it feature turned off; I wondered if that had something to do with it. Now the full stop has been replaced by a question mark but the key still works as a full stop! 12.1.4 still hasn’t fixed excess System usage. Uses about 50 GB and should be 5 to 10 according to Apple tech. Also contributes to slow downs and crashes. So I have a new 9.7 ipad gen6 with only 32 GB. Should I assume that 12.1.4 doesn’t install? I wouldn’t assume that, unless you are already having storage problems like the ones Greg has been having.